Walker, G. J., Scott, D., & Stodolska, M. (2016). 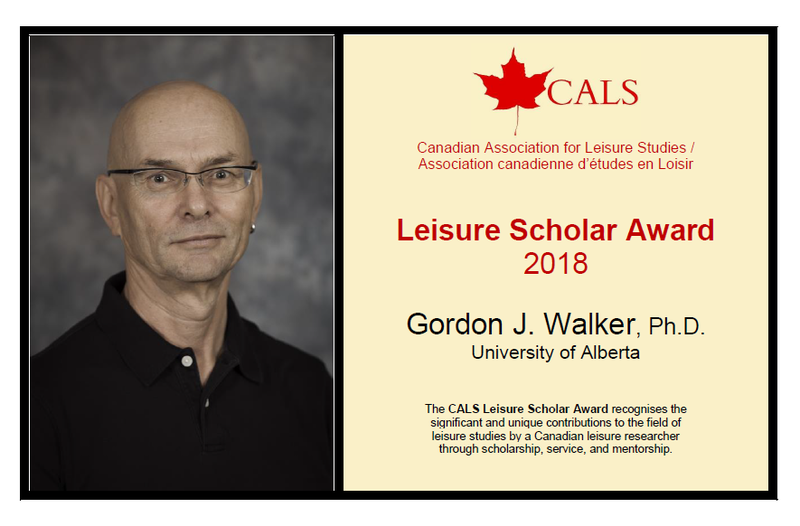 Leisure matters: The state and future of leisure studies. State College, PA: Venture. Kleiber, D. A., Walker, G. J., & Mannell, R. C. (2011). A social psychology of leisure (2nd ed.). State College, PA: Venture. Walker, G. J., Deng, J., & Dieser, R. B. (2005). Culture, self-construal, and leisure theory and practice. Journal of Leisure Research, 37, 77-99.